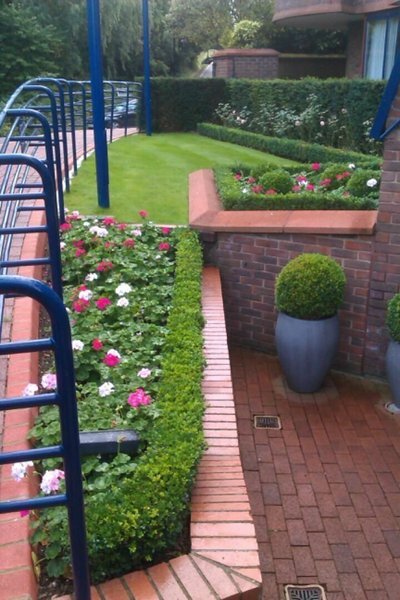 Evergreen Landscapes and Building Services Limited., have been Building and Maintaining Beautiful Gardens for nearly 35 years throughout North London, Hertfordshire and adjoining Counties. We pride ourselves on our High Standards of Workmanship provided by our Friendly, reliable, always Professional and efficient members of staff. If we are installing a New Driveway, Building a Bespoke Patio or building a New garden Wall, We consistently deliver High Standards of Workmanship, at the Most Competitive Price. 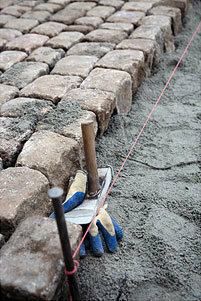 We are approved “Marshall's” Landscape and Driveway installers and also “Bradstones” approved Landscape Contractors. 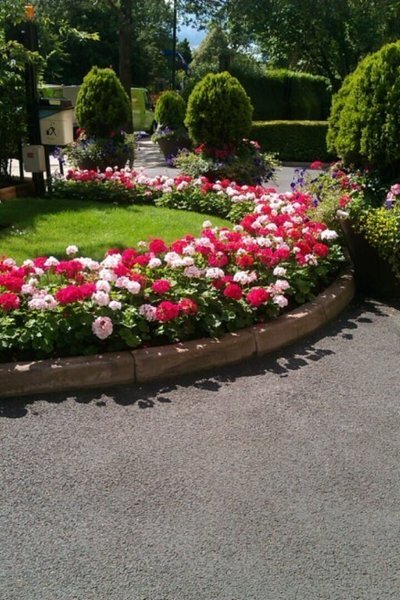 We are a Family Run Company ~ providing all aspects of Garden Services to both the Private and Commercial Garden Sectors. 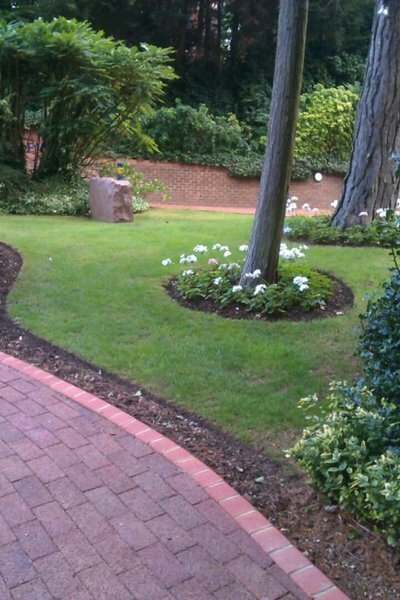 Turfing, Planting, Hedge Cutting and Lawn Mowing, we carry out all types of the garden work either small or large. Private or Commercial. The team from Evergreen have looked after our current garden with great care and reliability for the last 5 years, and for 5 years before that they did the same at our previous house. As well as making the garden look good, they keep it healthy as well - feeding the plants and composting where needed. Derek's suggestions of flowers and other items to plant are always well considered and appropriate for their positions in the garden. We were also very pleased with a driveway and patio that Evergreen designed and installed for us. It looked good, drained properly and the work was carried out cleanly and efficiently. 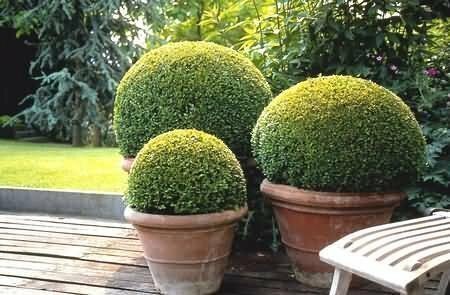 We had three quotes to renovate our garden and Evergreen's was easily the best. It was the only company to send a detailed quote and brochures, so it was the obvious choice. The job included removing a large amount of concrete and paving slabs and Evergreen removed everything as they went, so no skips parked out front. They completed our new garden only two days ago and it looks great. Exactly what we asked for. The patio, lawn and fencing are perfect. The team of men were very professional and a pleasure to know. Thank you Ron and team- we are delighted and we would definitely recommend your company. Amazing and very professional skilled workers. Worked to time schedule. Very helpful. Recommended to friends and family. Cost efficient with materials but remaining high standard of quality. "New Driveway" My neighbour and myself have just had a new driveway constructed by "Evergreen".The whole process from design to completion has been superb. The guys were very polite keeping us informed as the job progressed. While the work was carried out access to both properties were catered for, leaving good access for us and deliveries etc and the job was also completed in the specified time as agreed. Even our immediate neighbours had commented on how clean and professionally at the end of each working day the site was left. We cannot thank all at "Evergreen" enough for their hard work even in the dreadful weather we have had in the last few weeks. In all a superb job, and I would openly recommend them to anybody reading this review Regards ..Dave (Barnet Hertfordshire). We have just had our driveway completely done with the Drivesys product and we are delighted with the outcome. The team did a great job and completed it in a very timely manner. It really looks great. A very professional company that I would highly recommend. We were at our wits end because our terraced back garden which had been created by using railway sleepers many years ago was starting to degenerate and we really did not know what to do about renovation and repair without spending a fortune. 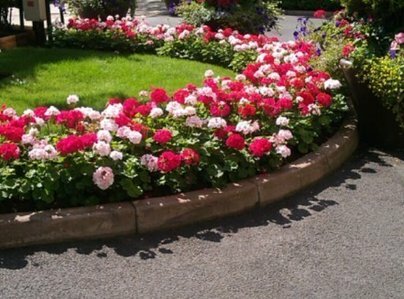 Our contact with other possible landscape garden firms left us concerned and disappointed. It was such a relief when Ron arrived, surveyed the garden and announced that it was not a problem and that he would send us an estimate. The working gang of four arrive early and we were pleasantly surprised at their fantastic rate of work. To cut a long story short, they worked so hard and efficiently that the job was completed in less than two days…and they erected new fences for good measure. We were so impressed. The attitude of the team was superb and they were spot-on the estimate. Highly recommended. I can't rate Evergreen Landscapes enough. We had our driveway block paved and it looks amazing! The whole process was slick, reliable and professional. From the moment that Ron came and measured up, the moment that the pavers did the final sweep on sand, they were all courteous, well mannered, clearly experts in their field and meticulous in their execution. I now find myself walking past other drives that have been completed or in progress and the difference in quality is like night and day! Evergreen were actually the most expensive quote we had but the specification they were working to reassured me of their commitment to quality. The drive was worth every penny and was absolutely value for money. If you see a block paved driveway that has sunk, it won't be one of Evergreens, of that I'm sure.